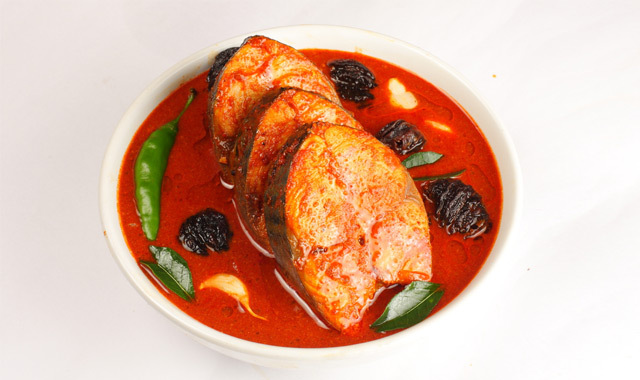 A delicious fish curry from the Kuttanad region of Kerala. Mix the turmeric and chilli powder. Add some water to make a paste and keep aside. Heat some coconut oil in a deep-bottomed vessel or clay pot and add fenugreek seeds. Add chopped ginger and garlic and saute well. Add shallots, green chillies and curry leaves. Stir until the shallots turn golden brown. Add the paste of chilli and turmeric powder. Add the kokum and saute it well. Add water and place the fish pieces in the vessel. 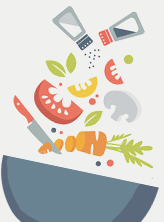 Season with salt and simmer until the fish is cooked. Heat coconut oil in a pan and add mustard seeds. When they crackle, add sliced shallots and sauté. When the shallots turn golden brown, add curry leaves, a pinch of turmeric powder and red chilli powder. Add it to the fish curry and finish with a drizzle of coconut oil.